Direct Steam Injection is a highly efficient technique for heating fluids. And, by using the sonic velocity of steam as exclusively offered by Hydro-Thermal rather than MODULATING the steam supply....efficiency, reliability, accuracy and durability are achieved. The heart of the system features a diffuser that is characterized to achieve your temperature and flow requirements. Compact? Extremely! And compared to a shell and tube heat exchanger, or a plate and frame heat exchanger...the cost is significantly less. The installation does not require steam traps, condensate pumps and other components that tend to fail or compromise the performance. Steam / Water Mixing Valve. Washdown and Process Tempered Water instantaneously...safely. The SilverLine is a streamlined, self contained, polished stainless system designed to cook recipes exactly as specified. Its simple design and appearance are deceptive. This one device encompasses thousands of hours of engineering boiled down into one superior, dynamic machine. It has been touted as the most advanced food and beverage processing system on the planet and has been revered by respected leaders in the commercial food and beverage industries. The SilverLine also delivers extremely consistent quality in every run. Imagine having meticulously predictable results in a cooking system that drives up productivity and shreds maintenance costs up to 50%. Imagine a system so well designed that it defines a new benchmark for internal and external hygiene. 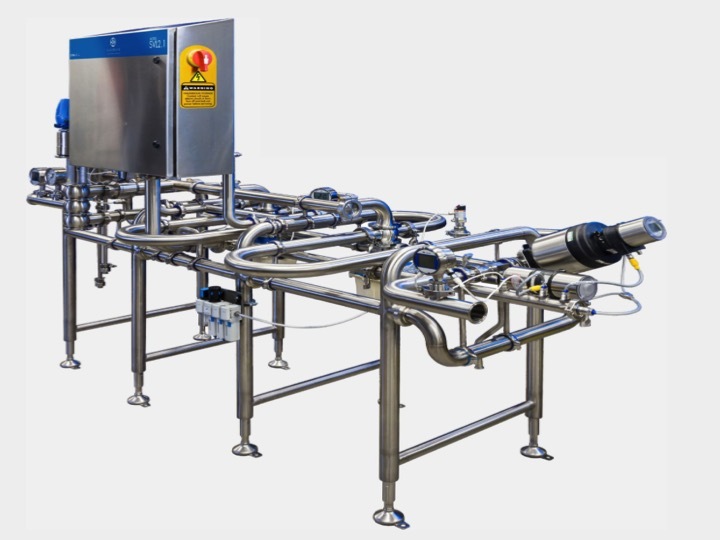 The SilverLine continuously processes food and beverages more efficiently, consistently and hygienically than any other solution on the market. 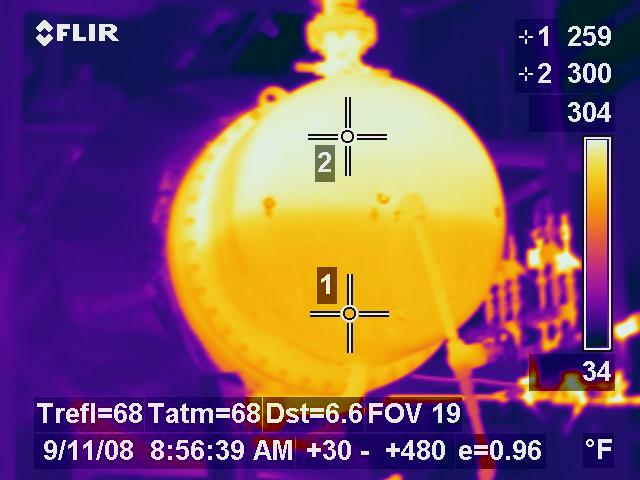 STEAM TRAP SURVEYS...Keeping you on the path of peak energy optimization. 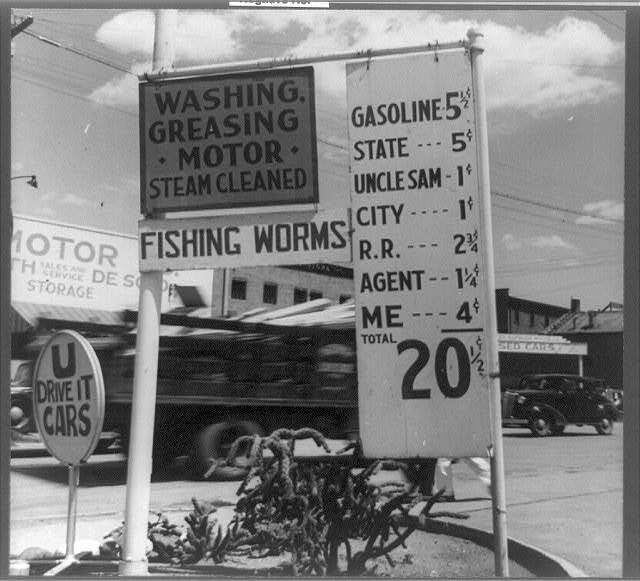 Start with Steam Traps...and look upstream and downstream for collateral opportunities to hone your competitive advantage. 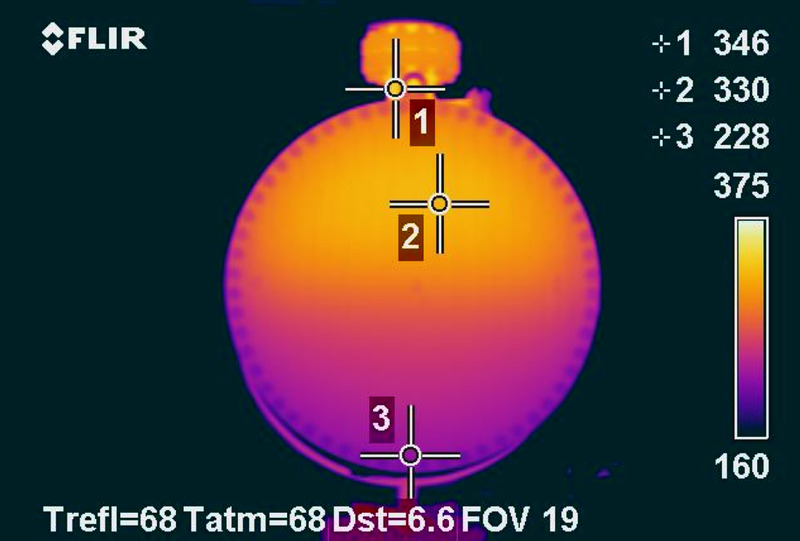 A client with 3,500 steam traps did a Phase I, survey/repair in 2010. In 2011...Phase II. 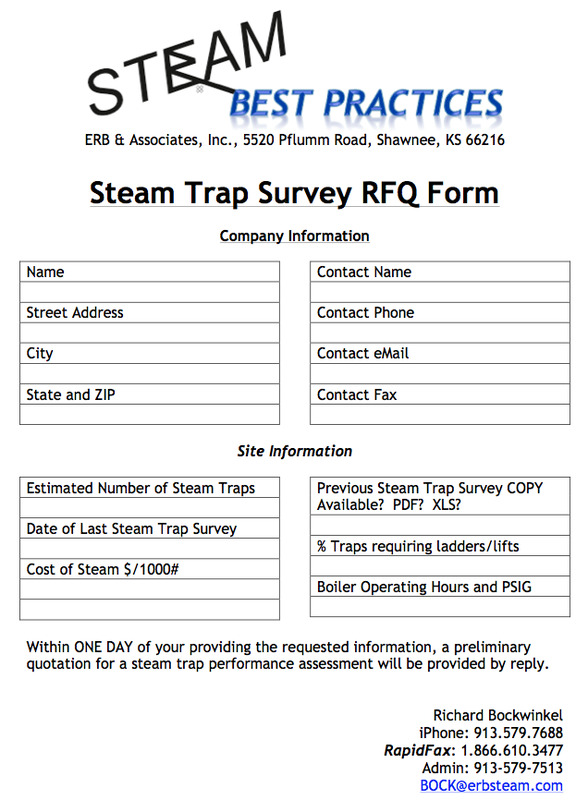 In 2011 the client reports saving NET $1,000/day attributed to this steam trap survey/repair program. 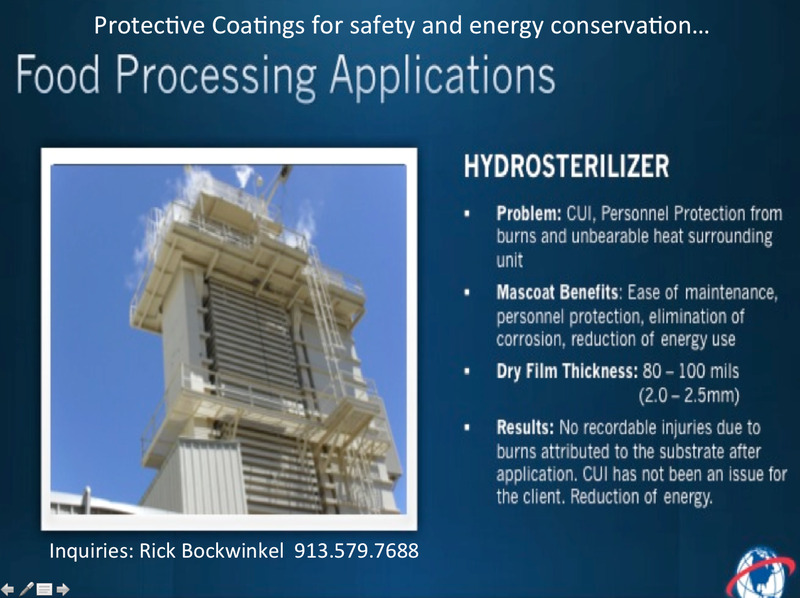 ...it improves safety, advances MTBFs while boosting production throughput via improved heat transfer and reliability. Please call or email me to arrange a no obligation estimate/presentation. General Reference: OSHA Personnel Protection Standards relating to high temperature surfaces. Steam and hot-water pipes. All exposed steam and hot-water pipes within 7 feet of the floor or working platform or within 15 inches measured horizontally from stairways, ramps, or fixed ladders shall be covered with an insulating material, or guarded in such manner as to prevent contact. Steam pipes. All pipes carrying steam or hot water for process or servicing machinery, when exposed to contact and located within seven feet of the floor or working platform shall be covered with a heat-insulating material, or otherwise properly guarded. Regardless of height, open-sided floors, walkways, platforms, or runaways above or adjacent to dangerous equipment, pickling or galvanizing tanks, de-greasing units, and similar hazards shall be guarded with a standard railing and toe board. 1910.147: The control of hazardous energy (lockout/tagout) standard covers hazardous energy, including thermal, during the servicing and maintenance of machines or equipment. Thermal energy may be dissipated or controlled, and it is the result of mechanical work, radiation, or electrical resistance. This standard addresses practices and procedures that are necessary to disable machinery or equipment and to prevent the release of potentially hazardous energy while maintenance and servicing activities are performed. The personal protective equipment standard would apply to hot surfaces where the hazards have not been eliminated through engineering or administrative controls. This standard requires employers to assess the workplace to determine if hazards that require the use of PPE are present or is likely to be present. The employer must select and have affected employees use properly fitted PPE suitable for protection against these hazards, as well as provide employee training and conduct periodic inspections to assure procedures are being followed. Suitable thermal protection would be necessary to provide employees with thermal insulation from hazardous hot pipe surfaces. Each employer shall furnish to each of his employees employment and a place of employment that are free from recognized hazards that are causing or are likely to cause death or serious physical harm to his employees. The private sector has specifically addressed the issue of exposed heated surfaces. The national consensus standard, "Standard Guide for Heated System Conditions that Produce Contact Burn Injuries (C 1055-92)," issued by the American Society for Testing Materials (ASTM)1 addresses this issue. The standard establishes a means by which the engineer, designer, or operator can determine the acceptable surface temperature of an existing system where skin contact may be made with a heated surface. Personal injury resulting from contact with heated surfaces can be prevented by proper design of insulation systems or the usage of other protective measures. A copy of that standard has been enclosed for your information. Also, ANSI A13.1-1975, "Scheme for the Identification of Piping Systems," issued by the American Society of Mechanical Engineers2, is enclosed. This standard specifies the identification of the contents of piping systems on the basis of legends and color to warn personnel of outstanding hazards inherent in the materials involved. Finally, enclosed is an article, "Preventing Burns from Insulated Pipes. "3 It answers the question: "What is an acceptable temperature to ensure that no skin burn will occur if a surface is touched?" The article is based on guidelines given by the National Insulation Manufacturers Association (NIMA) and gives the amount of insulation needed to ensure that the acceptable temperature is not exceeded. 1 "Standard Guide for Heated System Surface Conditions that Produce Contact Burn Injuries (C 1055-92)." American Society for Testing and Materials, Philadelphia, PA.
2 Scheme for the Identification of Piping Systems, ANSI A13.1-1975, American National Standards Institute. New York, NY: American Society of Mechanical Engineers. 3 "Preventing Burns from Insulated Pipes," Chemical Engineering, Vol. 88, No. 15 (July 27, 1981), pp. 58-64. Heat Shield. Safety-driven. Saving Energy. 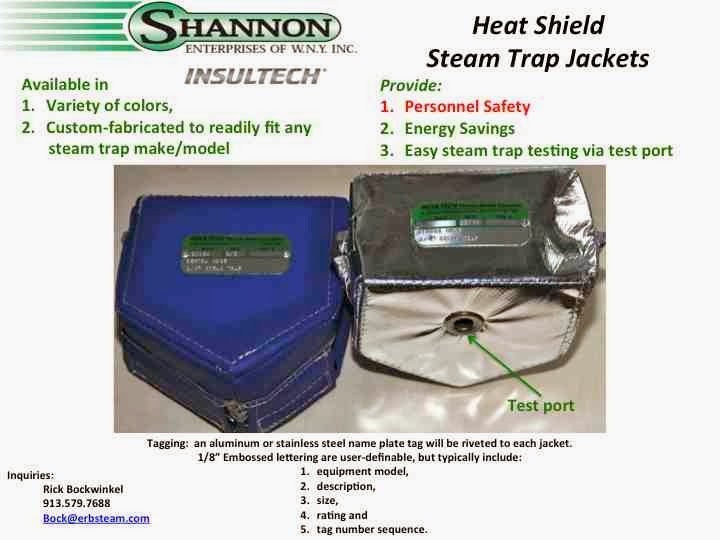 Heat Shield is a Shannon - Insultech Product designed for steam systems. Providing safety and energy savings with paybacks under one year. 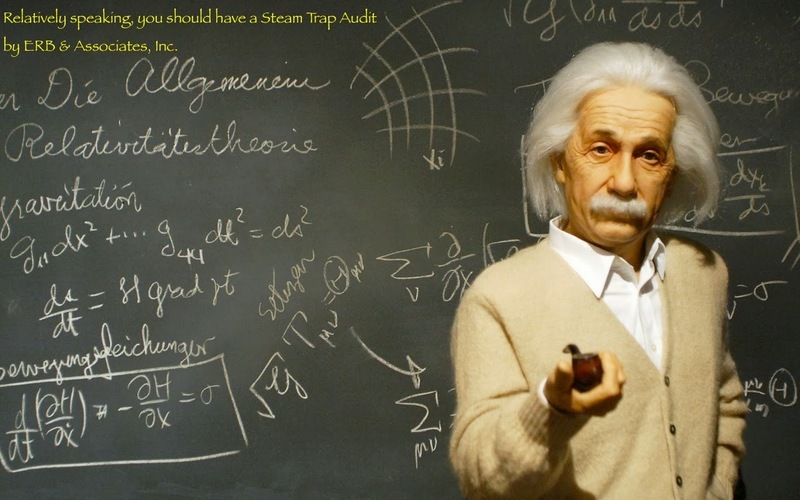 When it comes to steam trap services, be careful about using the words "SURVEY" and "AUDIT" interchangeably. There is a difference. A Survey mandates a physical inspection…whereas an AUDIT is a study of a SURVEY. 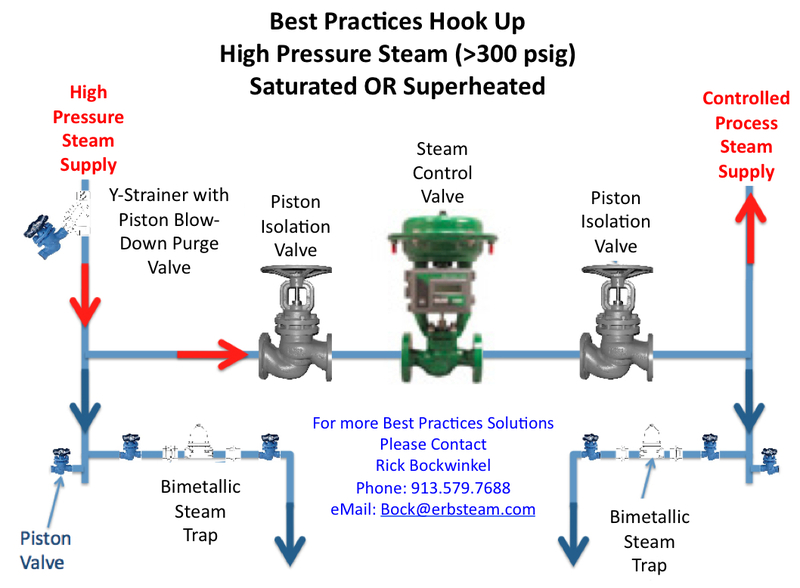 If you have had a Steam Trap Survey and don't know what to do with it, we can help. Send me your steam trap survey as an editable file (i.e. Excel format) or in a PDF format and I will provide you a QUICK audit of that data and a one page summary of observations and opportunities. When you say Steam...what do people think? People invariably think of steam as something for cleaning or ironing...or running a locomotive. But steam is much more pervasive than that! 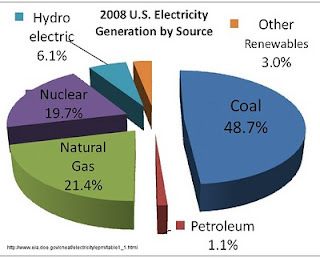 Steam is the single most widely used DERIVED energy source on the planet. And...we know how to get the most out of it for you. Give us a call...we will take a look and let you know where your opportunities exist with STEAM! Heat Exchangers Hammering? Tube Bundles Fouling and Failing? 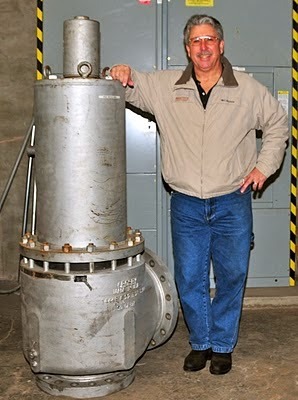 Do you have heat exchangers (i.e. Reboilers) HAMMERING and/or losing tubes like this heat exchanger? This device is not evacuating condensate, thus the significant temperature differential. This backing up of condensate in the heating space reduces surface area AND poses a potential for thermal and hydraulic shock that will damage tubes, create leaks and destroy steam traps. It also reduces throughput and can impact product quality. Steam Leak Surveys provide compelling paths to energy savings with paybacks in MONTHS!!! 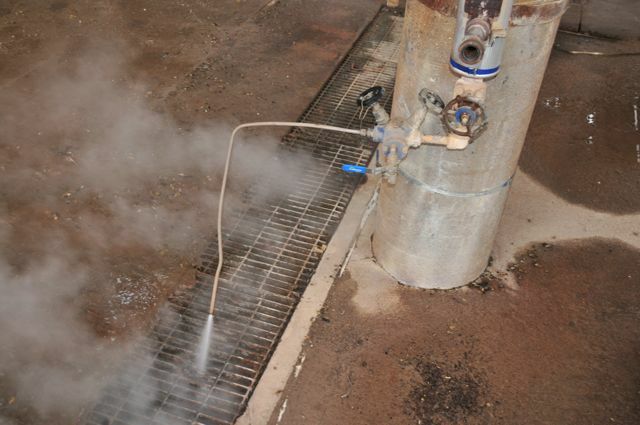 Fixing steam leaks will reduce artificial demand on your steam generation equipment. 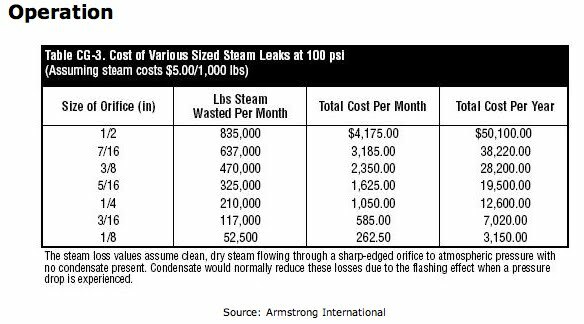 Therefore, fixing steam leaks will not add load to your condensate recovery system...and it will save you money and energy while reducing the workload on your steam generation plant. 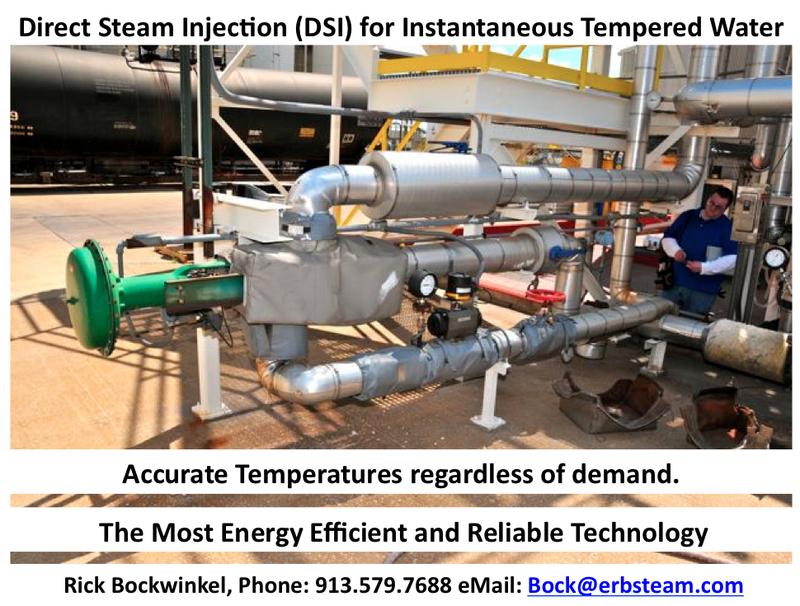 To Schedule a Steam Leak Survey, Please call Rick Bockwinkel at 913.579.7688 or eMail: Bock@erbsteam.com. Thank you. EZ Heater® is the most efficient and easy to use water heating steam valve available on the market. 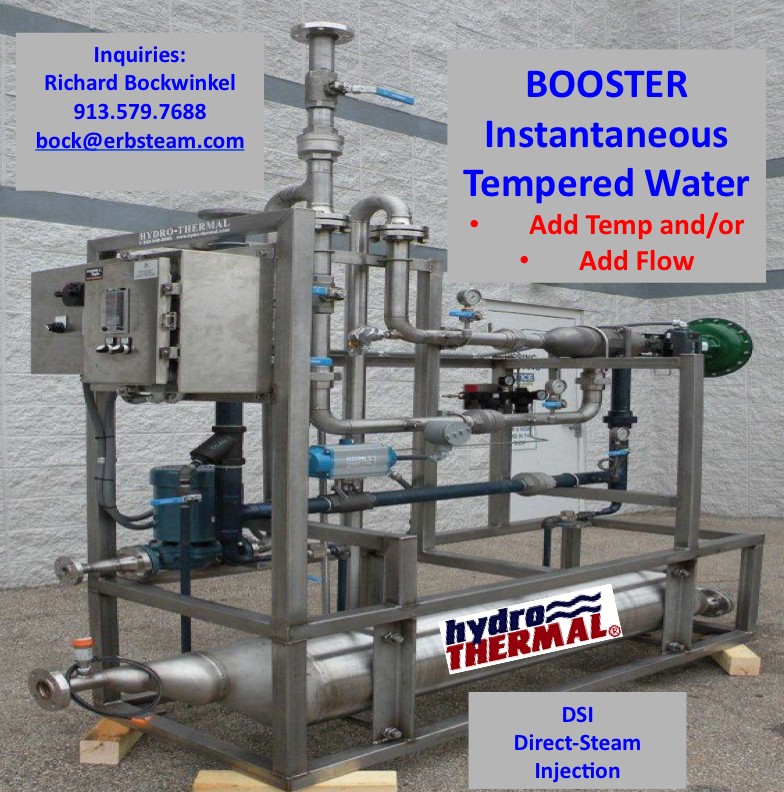 Use it for utility or process water heating in multiple applications. This patented steam valve uses 100% of the steam's energy to heat water and replaces heat exchangers, spargers, and multiple steam/water mixing tee stations. 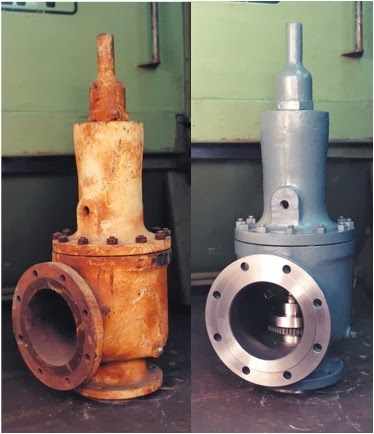 If you are experiencing "boiler priming", sometimes called "carry over", resulting in boiler plant shut-downs and/or water hammer, there is good news. There are a number of solutions that can readily mitigate this. Contact ERB and Associates, Inc.
Richard Bockwinkel by phone: 913.579.7688 or eMail: Bock@erbsteam.com. The PRIMER...In a boiler steam bubbles are continually bursting at the steam water interface and ejecting boiler water drops into the steam space. As the rate of steaming increases a point is reached where the steam bubbles are arriving at the surface faster than they are being removed, they accumulate as foam. Steam released from the bursting bubbles move towards the steam outlet carrying with it smaller water droplets and taking with it any foam. The steam also drags the surface of the boiler water towards the steam outlet so that the water level at that point can be higher than elsewhere, depending on the positions of the level controls this may cause the feed pumps to deliver water and thus raising the water level further. As the water level is raised the volume of the steam space is decreased, the speed of the steam across the surface is increased drawing foam and water droplets towards the steam outlet. 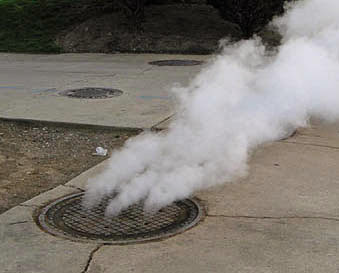 A sudden increase in steam demand can cause a slug of boiler water to enter the steam outlet. This is known as priming. Operation of the boiler below its design pressure will also produce a similar effect. Pre-Insulated Tubing EQUALS Instant Steam/Condensate "PIPING"
For small bore (3/8", 1/2", 3/4") steam service, running pipe with all of it's fitting requirements has become "the old way" of doing things. 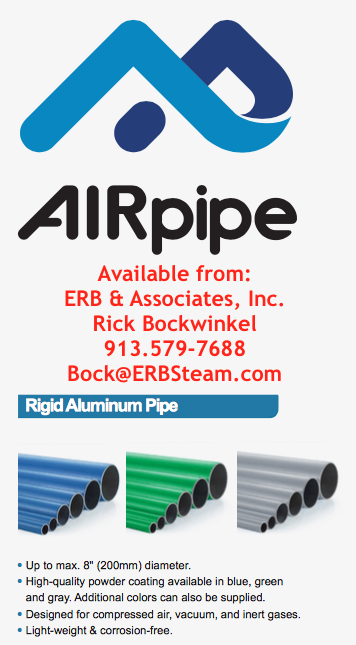 The new way of running small bore steam pipe is to run steam tubing that is preinsulated. 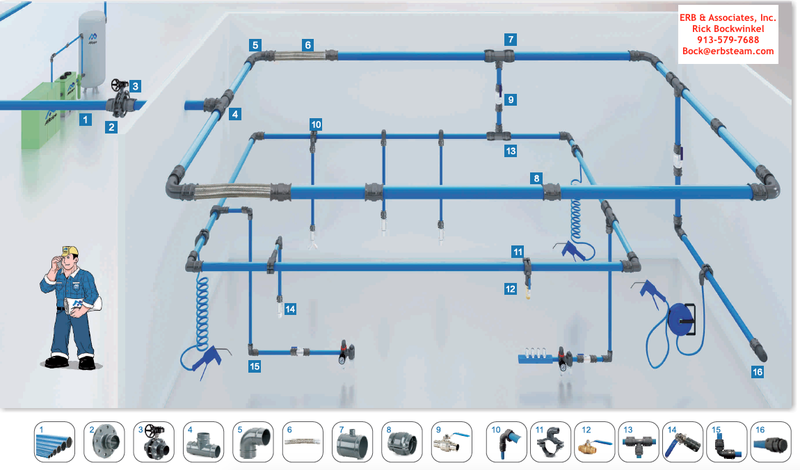 The beauty of preinsulated steam tubing is its ease of installation; not to mention that you can color code your steam pressures by choosing a wide variety of colors. The practicality is impressive. There are less fittings required; thus less leak points...less time to install...and less contamination potential from thread sealant materials migrating into the steam space. 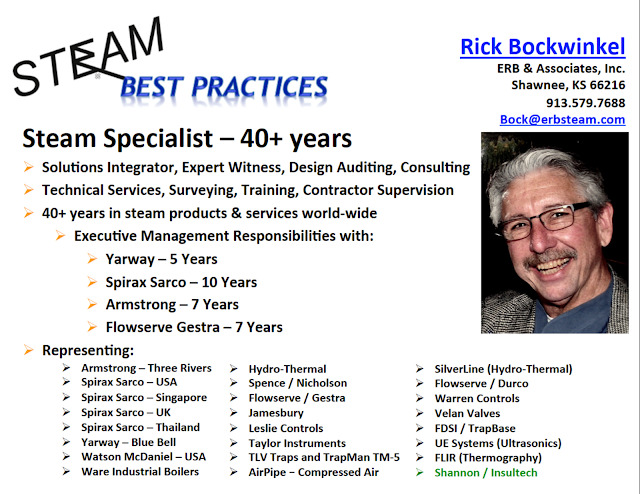 Richard Bockwinkel has been optimizing steam systems since 1975. 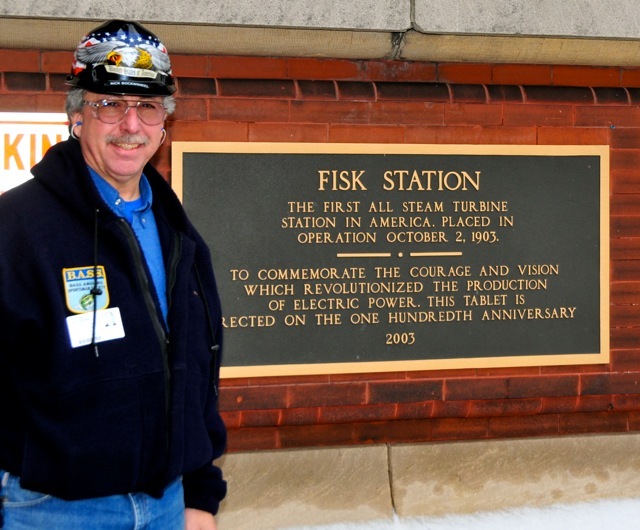 Want help with your STEAM plant? Is this steam trap failed? This is NOT a failed steam trap. It is overloaded. KNOWing the difference is our expertise that saves you money by allowing you to retrofit this undersized steam trap with a properly sized steam trap, WHILE allowing you to retain the smaller capacity steam trap for other appropriate service. As such, you save materials AND provide for proper performance of your steam trap. 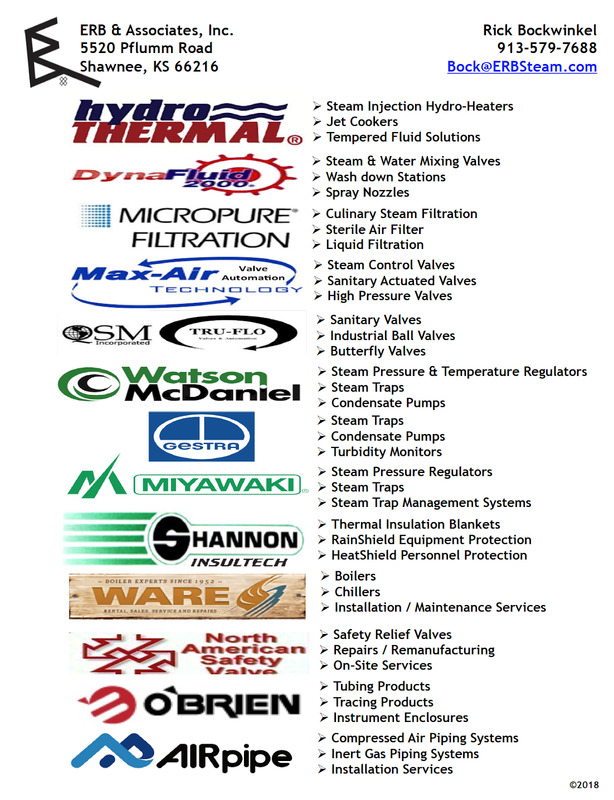 Managing your steam trap population saves you energy dollars AND equipment dollars too! 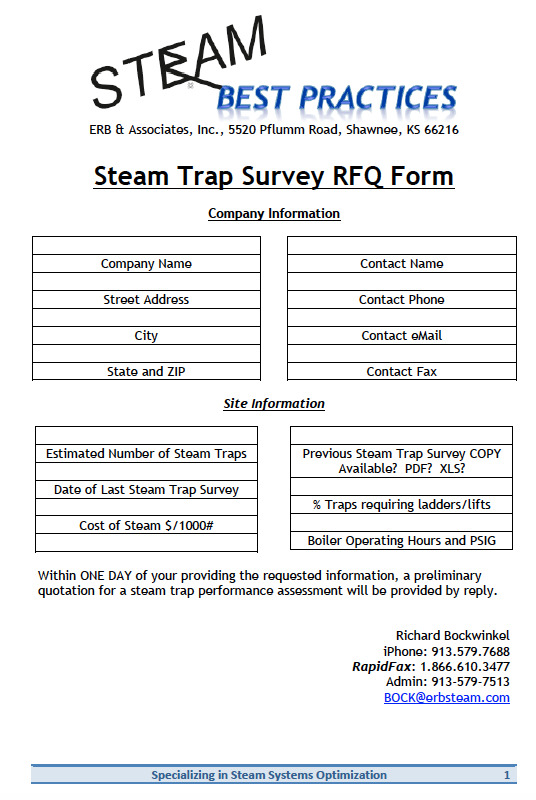 Steam Trap Survey Request for Quote Form.